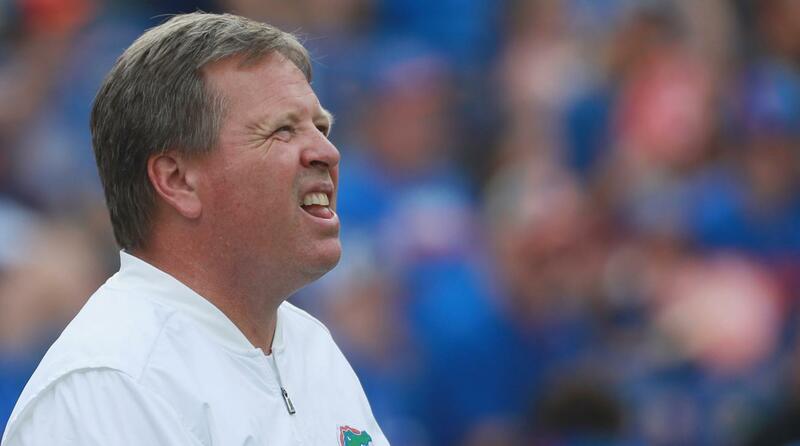 Shirts With Random Triangles: Is Jim McElwain era over at Florida? Source: Florida meeting w/Jim McElwain this morning about “legal issues, negotiations & much more on table"
Florida denied rumors yesterday that the school and McElwain's agent, Jimmy Sexton were negotiating a "restructured buyout" of McElwain's contract. One report from ESPN's Edward Aschoff and Mark Schlabach on Saturday suggested Florida officials were looking into using unsubstantiated claims by McElwain that his family and Florida players had received death threats as cause for not paying the reported $12.6 million-dollar buyout in McElwain's contract. McElwain has a 22-12 record as Florida's head coach. The Gators have a 3-4 overall record this season, and are 3-3 in SEC Conference play. Florida was soundsy beaten by Georgia on Saturday 42-7. The Gators are scheduled to play at Missouri on Nov. 4.